In today’s fashion savvy world, the necklace has become an important accessory for both men and women. With the growing popularity of necklaces, we can now use them to popularize the idea of atheism as well. This will go a long a way in creating awareness about a little-known subject and at the same time help dismiss the wrong notions associated with it. 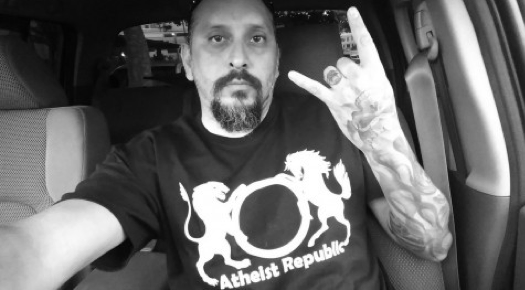 Today, there are limitless ways to reach people but a simple gesture like wearing a funny atheist necklace can go a long way in influencing society at large. Wearing funny atheist necklaces is the simplest way to attract attention and spread knowledge among those who do not know as much about atheism and related concepts. There are different kinds of atheist necklaces to choose from – round, square, sterling and silver-plated among many others. The necklaces have quotes or symbols that make the atheist message clear so people do not have a hard time learning about the subject and spreading awareness. Apart from creating awareness, the necklace also ups your fashion statement so this is something that you should definitely have! Some hip atheists do not even wear their necklaces but decorate the interiors of their cars with the chains instead. This is actually a rather cool way to show the world how proud you are to be an atheist and there is nothing shameful about regarding science over superstition. All of our necklaces can be customized to cater to your liking. Use different colours and fonts to transform our unique designs into something that you alone possess. Remember, if you sport a necklace like this today, you could encourage many other non-believers to stand up for what they believe in, without the fear of being judged or discriminated.